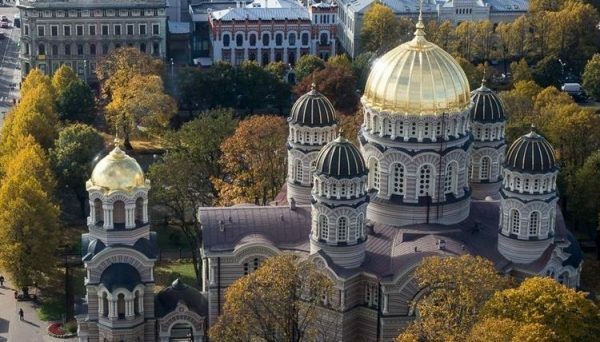 According to the latest sociological survey, Orthodoxy is the largest religion in Latvia, with every fourth resident identifying as an Orthodox Christian. The survey was conducted by the SKDS research center, and the results were reported by center director Arnis Kakatins on his Twitter page. According to this year’s survey, 26% of the population is Orthodox, which has remained steady at least since 2014—25% identified as Orthodox in 2016, and 26% in 2014. The second largest religion is Catholicism with 20% of the population this year. Third is Lutheranism with 17%. As Grigory Shugaev has written, many Orthodox in Latvia are actually former Catholics and Lutherans. Another 14% believe in God but do not identify with any particular religion or Church, and 15% of Latvians also identified as atheists. As Sputnik notes, although Orthodoxy is the largest religion in Latvia, Orthodox Nativity is still not a national holiday, despite being considered by parliamentarians more than 20 times. They gave first-round approval to the proposal in March, but the issue was then postponed.